Over the coming months and into the future I plan to release some Office 365 news that is mainly for the education sector. With over 110 millions users using Office 365 Education around the world, Microsoft are adding both features for the whole of Office 365 but also for the A plans. Since the Microsoft acquisition of Yammer in July 2012, there has been a have been many questions asked to what will happen with the product and how it will be integrated into SharePoint and Office 365. As the product is a social networking tool for the enterprise, the question has been asked what is the new default for social in SharePoint, is it the newsfeed and community sites or is it Yammer? This has then brought the question forward even more about a roadmap about what Microsoft are setting their priorities on, integration with Yammer or the already social features in Office 365. Enterprise customers of Office 365 have had Yammer added to their tenancy over the last 4 months but as a separate product rather than any integration with SharePoint. Apps are available but nothing more than that. 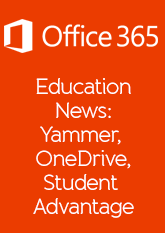 It has been announced that Yammer Enterprise will be added to Office 365 Education tenancies from the 1st April with users being able to access it if they have a A2, A3 or A4 license. In the coming weeks, Microsoft are hosting the SharePoint Conference and many are expecting to hear more about Yammer and its integration between SharePoint and Office 365. We’ll take a closing look at Yammer soon. Some of you may be asking the question why? Well BSkyB and Microsoft have been in court over the rights of using Sky at the start of the name. With SkySports, SkyNews and SkyMovies, BSkyB won the case and Microsoft have agreed to change the name of SkyDrive. With the confusion between SkyDrive (Live) and SkyDrive Pro (SharePoint) Microsoft have changed both to now be OneDrive and OneDrive for business. 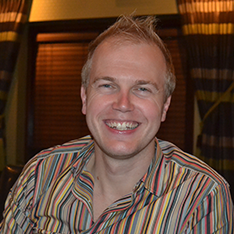 New features may get added and we hope to hear these at the SharePoint Conference in March. Back in October Microsoft announced the release of Student Advantage. Academic institutions are able to provide students with Office Pro Plus if they are a EES licensed customer. Over the year Microsoft have provided different ways for students to have Office installed on their personal devices but it has always been a challenge to manage with having to hand out DVDs, products keys and ensuring the student removed the product when the left the school. With Student Advantage, students are licensed through Office 365 with their credentials before downloading the Office. They will then have to log into Office before they receive their license. This login being the same as their Office 365 credentials. If you aren’t using this already, get onto your Microsoft license provider and ask them for you activation code. Simple to manage, simple to deploy and your students can use it on up to 5 devices including Windows and Mac.